In Eastern Ontario we have been blessed with a hot summer. It’s almost September and we’re still expecting to enjoy mid-summer heat for the next week. 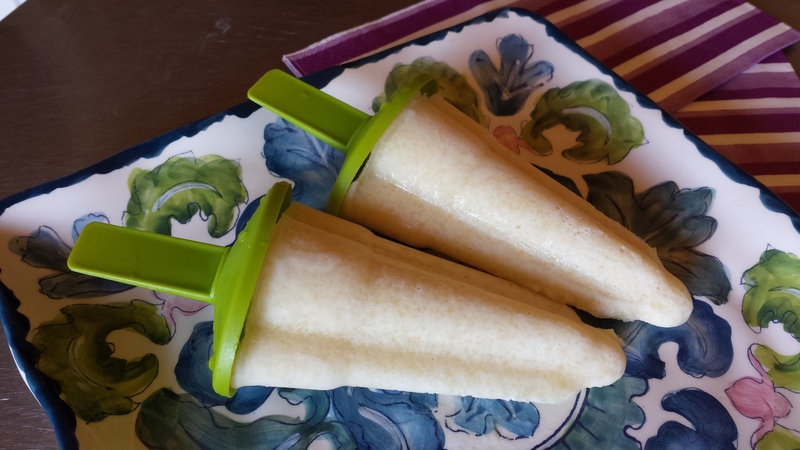 These three ingredient coconut-pineapple pops are a no-fuss way to enjoy a tasty and cold treat minus the dairy, refined sugar and additives. They also make a great Labour Day weekend treat. Add all ingredients into a food processor and pulse until mixture is thoroughly pureed. Pour mixture into a popsicle tray and place in freezer. Allow it to freeze overnight.